When you are in an emergency situation, it’s imperative that the medical staff know what you are allergic to and what medical conditions you have. If you are given the wrong medicine, it can be life threatening. You could wear an old fashioned medical bracelet, but if you have more than one condition or allergy, it isn’t feasible. I am allergic to Latex. I am always worried about coming in contact with it. It’s not a life threatening allergy, but I don’t like the hives and itching. Most doctors offices don’t use it any in their offices anymore. Noah knows that I’m allergic to it, in case of an emergency, but what if he forgets or isn’t with me. I learned about a product called MyID. It’s the ultimate medical bracelet. It has a code that paramedics and hospitals can scan to get your medical information in seconds. They will know not only your name and who to contact but your allergies and medical conditions. This is great if you have seizures or another condition that might leave you unconscious. It could also be a tool in detecting a lost child because they can scan it and find your child’s name and contact. It would also be great for older people who might have dementia. My Grandma Rose had Alzheimer’s disease, this would have been perfect for her. She also had heart problems and was on quite a few medicines. I recently had a cyst removed from inside my gums. It was sitting on the nerve and it’s been a long and painful ordeal. I have been on so many different medicines in the last month. It’s hard to keep track. Even after the cyst was removed, I still have had nerve pain, numbness and tingling. I was referred to a neurologist after the antibiotics didn’t work. In the meantime, I was prescribed a medicine that has a warning on the bottle that says carry or wear medical identification stating you are taking this medicine. I am able to easily add it to MyID. I will be able to remove it after the nerve pain corrects its self. 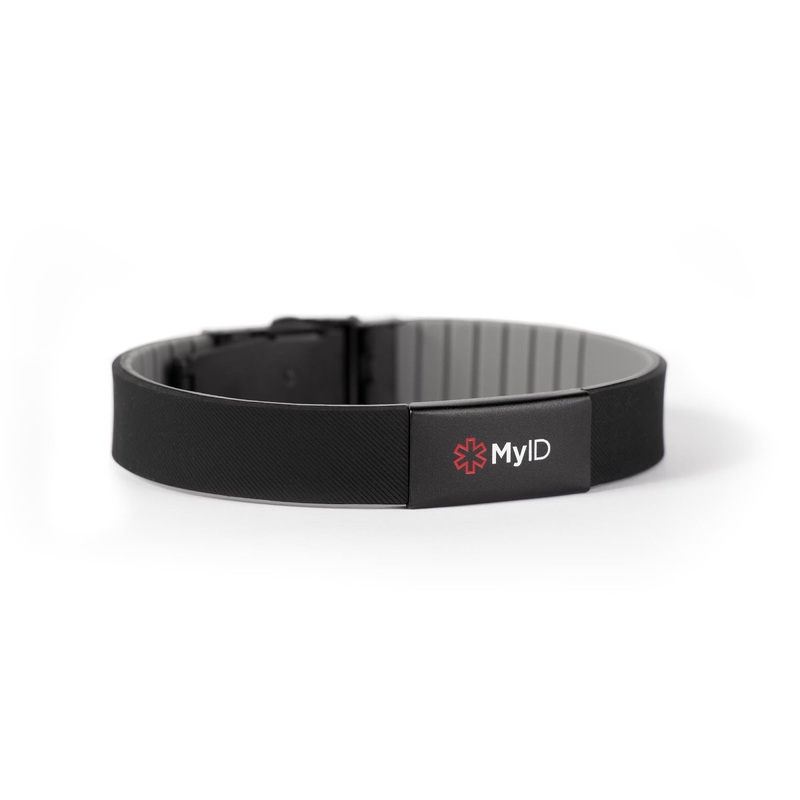 The MyID is easy to wear and is very stylish. You don’t even realize you are wearing it. Noah has his own MyID Sport. He doesn’t have any medical conditions or allergies. He likes to wear it, he thinks its cool. I will keep it updated when he gets sick. It’s good idea to keep it updated with the most current information. It’s also very affordable. It is cheaper than buying engraved medical bracelets. You can change and update the information easily from your computer or from the app. You can enter the information before you even leave the doctors office. 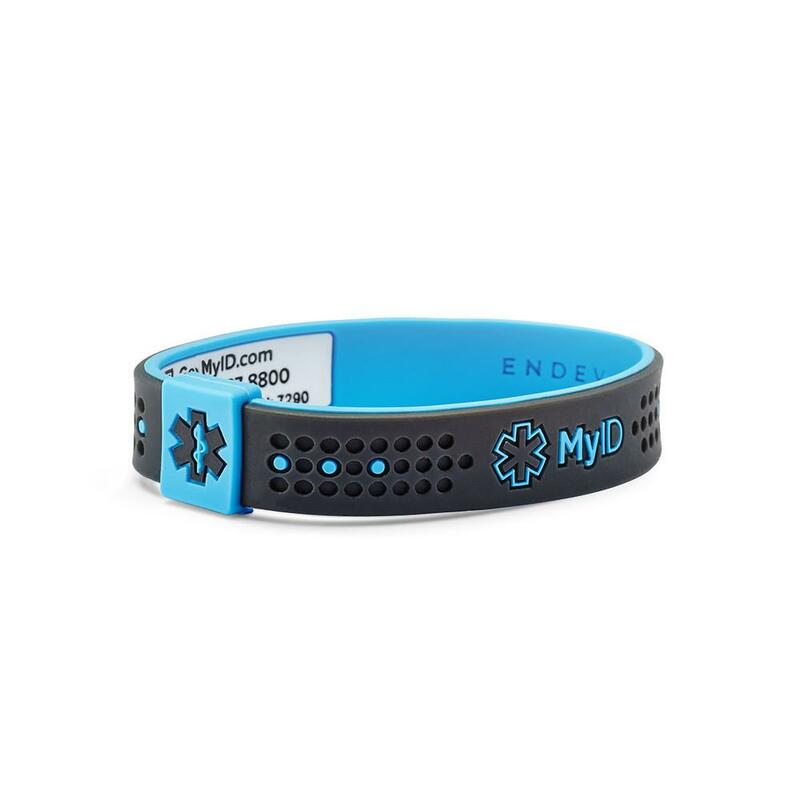 MyID is also 100% waterproof, so when you are at the pool or the beach you don’t have to worry about taking it off. With a lifetime warranty, you never have to worry about it not being there when you need it.